The ICIT is about to embark on an ambitious project to make its vast literature available on the web. The aim is to equip emerging Islamic leadership with the tools necessary to set the directional course on a path to Allah. 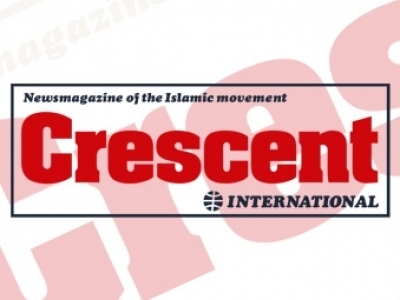 As this issue of CI goes to press, Volume 8 of the The Ascendant Qur’an will also be enroute to being published. This volume will round out the explanation of Surah al-Nisa’. Volumes 9 and 10 will address the exegesis of Surah al-Ma’idah. At this point, it would be a good time to revisit why we feel this tafsir is important and who we feel will benefit most from it, at least initially. Our thesis is that the target market for The Ascendant Qur’an is the emerging Islamic leader. As we begin to subordinate this view with rationalizations, what we understand and what we mean by the term leadership should, at least, begin to clarify our position. Different people mean different things when the general domain of leadership is broached or entered. Hence, what we mean by it is germane to understanding our position on the market that will benefit most from this tafsir. This does not suggest that other views on leadership are wrong; it just says that in order for the reader to understand our position, he should first appraise our view on leadership, which acts as a foundation. In our view, leadership roles and the demand for a leadership function has a context: constant change and societal flux motivate the need for something to be done, for people to do it, and for them to be held accountable for what they committed to do. And so leaders deal with this change or flux by having the clarity of knowing what to do, who is going to do it, and how the would-be doers are going to be held accountable for what they agreed to do. Leaders accomplish these three responsibilities by setting a directional course, by aligning people to that course, and by inspiring and motivating them, as a matter of culpability that comes with maturity, to fulfil their commitments. Islamic leaders differ from other leaders in that they, uniquely, orient change in a direction that leads to Allah (swt); that is, their alignment and accountability activities are based on and utilize Allah’s (swt) guiding principles as they are delineated in the Qur’anic precedent and the Prophetic model. With all the god-denying human theories, philosophies, and ideologies in vogue today, coupled with the sophisticated historical, institutional, and experiential forces sustaining them, choosing an Islamic directional course, relying “solely” on the Qur’an (or what some have said the Qur’an says) cannot be an easy task. Today the institutional force of a state instrument behind the Qur’an is weak; there are few academic institutions based on Qur’anic principles, and hence relying “only” on the Qur’an presents a challenging proposition. How do we think within this medium? What kind of activities can we structure on our new thinking? Who can guide us to change our thinking, in a way that is beneficial for not only us, but the world we live in? Is there a better way to manage the quiet desperation that afflicts the majority of the world’s people? Can we do a better job than the self-proclaimed managers of today? The Ascendant Qur’an begins to fill this void. It demonstrates that the Qur’an is bigger, more sound, and bereft of all those faults and pitfalls inundating the entire compendium and evolution of human experience, knowledge, and culture about human nature and human behavior. The Ascendant Qur’an begins to fill this void. It demonstrates that the Qur’an is bigger, more sound, and bereft of all those faults and pitfalls inundating the entire compendium and evolution of human experience, knowledge, and culture about human nature and human behavior. It gives the Muslim confidence that Allah (swt) is greater, that Islam is the direction, and that the Prophet (pbuh) is central to the way things ought to be. But it could be said that other tafsirs do this as well; in fact, this ought to be the goal of tafsir literature. So what makes The Ascendant Qur’an distinctive? A useful directional course, which tackles the problem of clarifying what has to be done, creates a sense of urgency, paints a vision of what human effort will achieve by overturning the existing unacceptable situation, and delineates how the needs of important constituencies are going to be satisfied. The Ascendant Qur’an creates this sense of urgency; it shows the Muslim how injustice dressed up by the rubric of welfare and human rights has driven oppression into all aspects of human life and engagement; it exposes the double standards crafted by the class of wealth and power to apply to the class of dearth and cower. And by showing the Muslim the hollowness of the existing power culture, it motivates him to understand that his continued absence from the socio-political domain, especially that of decision making, will only serve to exacerbate the oppression experienced by him, his brothers, and the general lot of humanity. In this way, The Ascendant Qur’an demands for the Muslim to do something — but not just anything. Precisely, it demands that when he is given the opportunity to exercise power, he does it in the model of Allah’s Prophet (pbuh). And, it is in this area that this tafsir differs from its antecedents. It tries to tackle the difficult subject of power; and what its exercise has to do with social justice, and what its abuse has to with the institutionalization of kufr through the agency of shirk. Truth without power leads to injustice, followed by oppression. Social justice, social values, and even social consciousness exist because of the principled exercise of power. No theory combined with experience demonstrates the principled exercise of power like the Qur’an and the Sunnah — either there are theories without a sunnah, or there is an age-old practice that bears little attachment to principle. Through the medium of the disciplined and ethical exercise of power, the Muslim is capable of visualizing a functioning Islamic society in all its major dimensions: from the personal to the social space, from the family to the socio-economic domain, from the spiritual to the political to the geostrategic. 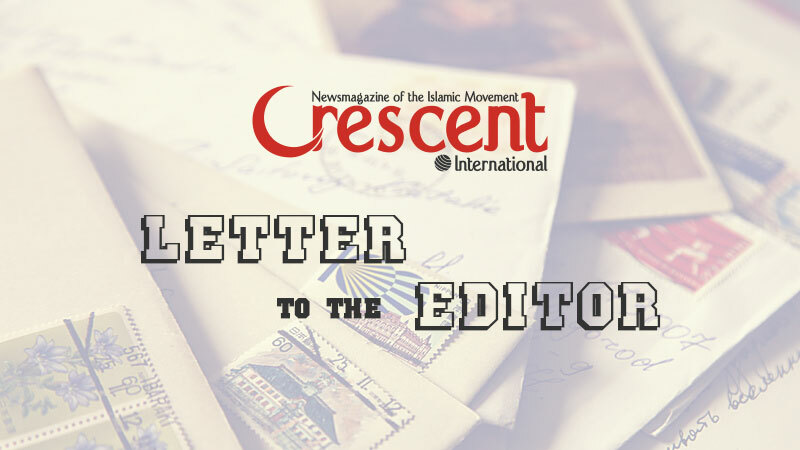 The Ascendant Qur’an provides the kind of explanation that places authority and its attendant power in the correct frame of reference, thereby impelling the reader to imagine what kind of society would result with this as its principal bedrock constituent. It is precisely in this area that sole reliance on the Qur’an is most necessary, and truth be told, most lacking. But power, especially temporal power, does not exist in a vacuum. Power is exercised — either properly or improperly — by people. And more particularly, by leaders. The Qur’an teaches the Muslims how to exercise power without being misled by its allure; the Muslims in turn are the leaders of humanity — they, as the Ummah, have been given this responsibility by Allah (swt); and finally al-ladhina amanu are the ones who lead the Ummah. The Ascendant Qur’an consistently brings out this central thematic element of the Qur’an, as no other previous tafsir has done. It addresses what leaders need to do, or what those who have the capacity to shape the behavior of others have to do, whether such a one defines a country that leads other countries, or such a one refers to he who resuscitates the Islamic executive authority (or at least contributes to it). No feature of human society can impact the expansion and adjudication of social justice more than the principled exercise of power by just leaders. So far, we are not aware of significant Islamic publications that, in a structured way, address the needs of the one guiding constituency of society: those who lead — so that they in turn can address the needs of those who cannot represent themselves (the mustad‘afin, the oppressed). With this argument, we feel that the initial and most important market segment for this tafsir is that of the emerging Islamic leader. But who belongs to this market, precisely? Where is it concentrated? How do we find it? To begin to answer these questions, ICIT is proposing a distribution model for all of its publications and multi-media materials, not the least of which is the tafsir, that it has developed after several months of deliberations — to address not only the questions above, but other concerns, which have come up with regard to hard copies of ICIT publications that are available through more well understood channels. In this regard ICIT’s value proposition is to provide emerging Islamic leaders with resources and tools that enable them to become just leaders who implement good strategy. Hence, initially, ICIT is offering to make all its publications available in electronic format through a web library, which will require an annual subscription fee of $10 for individuals, and of $500 for institutions. 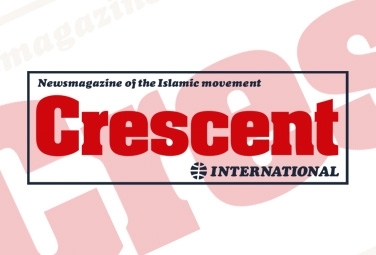 For the subscription, all of ICIT’s materials — print, multi-media, and CI — as well as other materials to help in the development of Islamic leaders, will be made available to the subscriber. As the subscriber begins to “check out” materials from the lCIT web library, he will be able to create his own personal library of reading and other materials available through the larger library. This approach addresses several issues, the most key of which are the following. Firstly, economic hardship as an impediment to accessing ICIT publications in traditional print format would be overcome by this approach, and at the same time ICIT materials would be made available to the largest possible English-speaking audience (that is, those who have access to electronic media) — Muslim and non-Muslim alike. Secondly, with all those who register and start to create their own personal libraries, ICIT will be able to identify the users who are using the available materials, and then start to structure live leadership activities for them, all of this being organized through the medium of the ICIT web library. This latter activity, it is hoped, will expand the domain of tafsir and CI readers, and as this domain expands, it is expected that CI access will increase, driving up tafsir readership, and vice versa. ICIT hopes to have the preliminary version of the web library ready within the next four months. During this time, as we put together the final sets of business requirements for the proposed model, we would like feedback from you — the readers. ICIT hopes to have the preliminary version of the web library ready within the next four months. During this time, as we put together the final sets of business requirements for the proposed model, we would like feedback from you — the readers. Your feedback and insight will help ICIT tailor its services so that it can have the desired impact (which you have consistently implored ICIT to do) on the next generation of emerging Islamic leaders. Challenges still remain, such as how to acquaint potential members that a web ICIT distributions channel is now active. However, with this as a beginning, we feel that with your continued help and enthusiasm, the quality of ICIT’s thinking insofar as this model is concerned, will be at least as good as the quality of the thinking you have come to appreciate in CI and the tafsir. 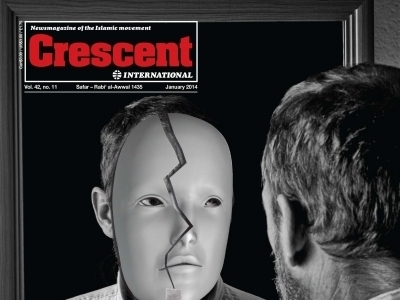 Crescent International at 44: Who are we?